Living a Fit and Full Life: Get Organized with Songmics! + Giveaway! The brand Songmics was founded in 2012. The product lines range from home organizers, makeup and jewelry organizers to outdoor and sports equipments and so on. The products are sold on Amazon in the United States, Canada, Germany, France, England, Italy, Spain and Japan. Songmics is always looking for ways to provide the products with the best quality at the lowest price. We will offer the most tidy and convenient life experiences to all of you who enjoy family life. Get organized with Songmics! Songmics has everything to help you get organized and keep your home looking neat and tidy. 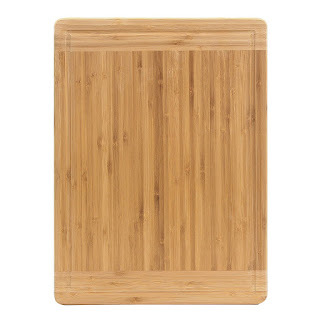 Songmics Bamboo Cutting Board is a terrific cutting board and has replaced all of my old silicone cutting boards. It looks terrific in my kitchen and I love that it has a grooved edge to catch any juice during chopping. 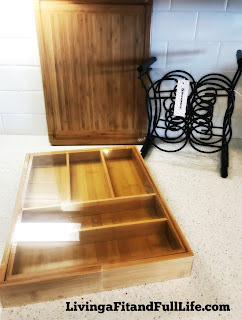 Songmics Bamboo Cutlery Tray with Expandable Utensil Organizer is the perfect way to keep your kitchen organized. I absolutely love the quality of this kitchen drawer organizer. I was recently shopping at a major retailer and was going to buy something similar but didn't because it felt extremely flimsy. 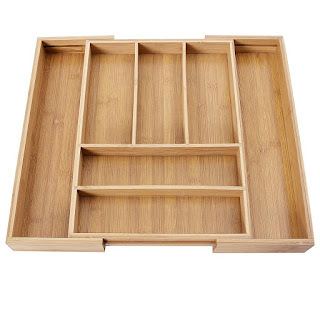 Songmics Bamboo Cutlery Tray is extremely well made and I will definitely be purchasing a few more of these to help get my other kitchen drawers organized. 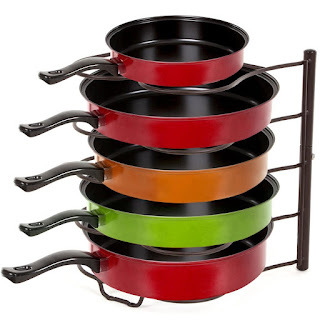 Songmics Pan Organizer is the perfect way to finally tame that unruly pan cupboard! I absolutely love how easy the pan organizer is to set up and how quickly I was able to get my pots and pan cupboard organized. 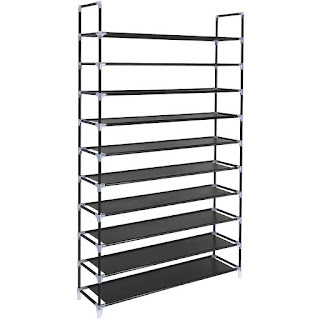 Songmics 10 Tiers Shoe Rack holds 50 pairs of shoes and is extremely easy to assemble. 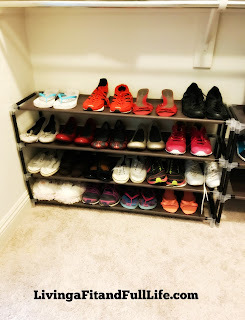 The number one thing I like about this shoe rack organizer is that you can customize it. I was able to build myself three smaller racks that fit perfectly under my closet shelves. I also love that you can adjust the height making it perfect for storing your boots as well. 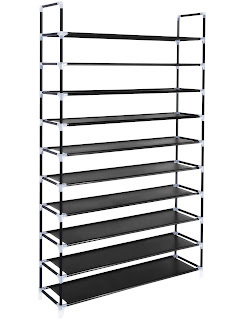 Songmics 10 Tiers Shoe Rack is the shoe rack is phenomenal and is the perfect way to store all your shoes. Songmics has everything to get your home organized and I absolutely love how well their products are made! Click HERE to learn more about Songmics! Follow Songmics on social media!